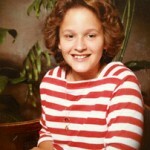 When you think back to 80s hair, the first images that most likely pop into your brain are of us girls, with our giant, can-of-spray-a-day, moussed-up, permed, blown-out helmet heads, right? 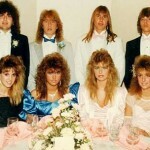 The boys of the 80s had some serious hair action going on as well. 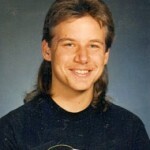 We’re all familiar with the decade’s most popular dude-do the mullet. I’d say 95% of the boys walking the halls of my junior high and high schools rocked this look. There was also the less popular “boy-perm.” I had a boyfriend for a very short time who had his mom perm his hair to give him a more beachy/surfer dude look. The image of him with little pink rollers in his hair suddenly made him seem slightly less cool. 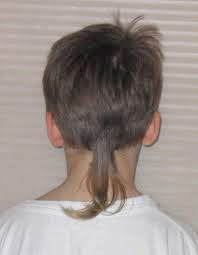 The other look for guys, the one that fewer dared to wear because it was a little bit out there, was the rat tail. 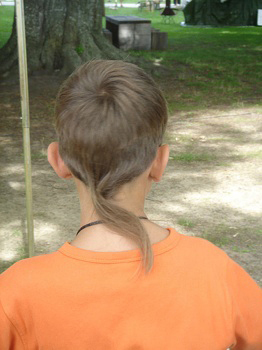 The rat tail was like the “mullet-lite” of boy’s hairdos. 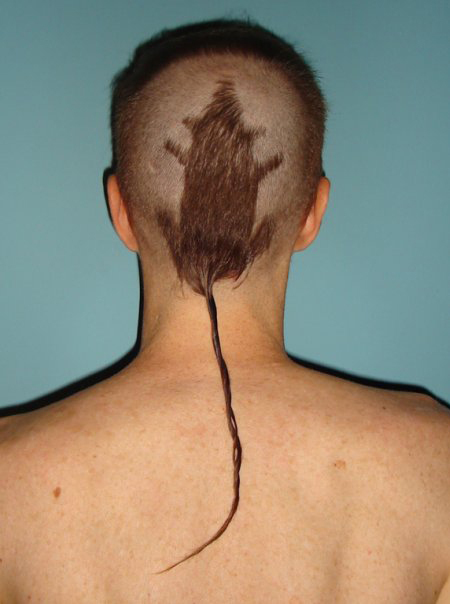 It was a thin, chunk of hair going down the back of his neck, like…well…a rat’s tail. Hence the lovely name. They varied in length, some were little baby tails and some were loooong actual sized rat tails. 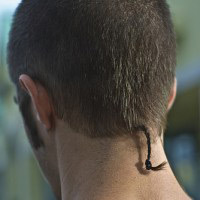 Some boys got stylish and braided theirs or attempted to put that small chunk of hair into the world’s tiniest ponytail. Some even had a little curl/wave going on back there. 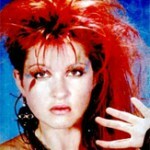 Call me crazy but I’m hoping that this is one 80s do that does not make a full on return to mainstream fashion. I have two boys and I think I’d rather sit and give each of them a stinky perm than see that long, skinny strand going down the backs of their necks. And, while I don’t remember a single guy in the 80s taking the rattail look this far, you have to admire (ok, maybe not quite the right word) this guy for his commitment to the statement—sorta.